Case measures 12" x 14" x 3-1/2"
Perfect for pretend play and hand eye coordination, this 20-piece set has everything young builders need. 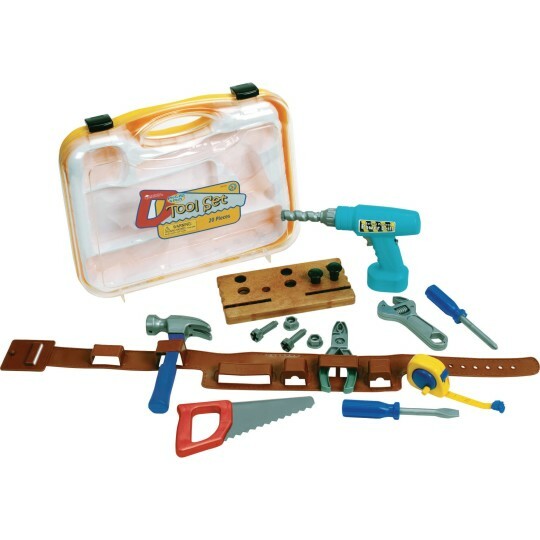 Set features hammer, saw, tape measure, nuts and bolts, wooden board for drilling, drill and more. 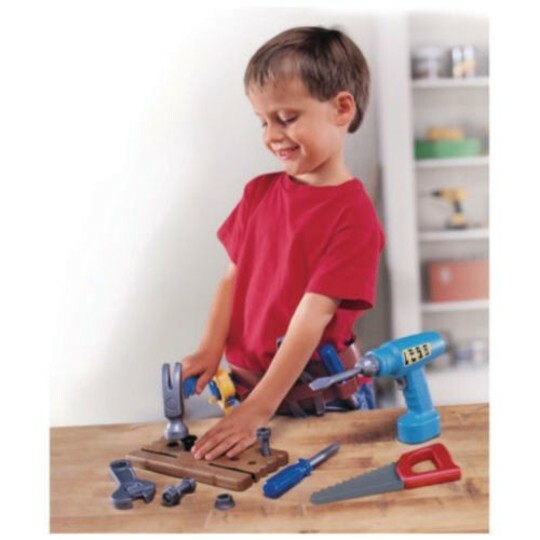 Children can carry the tools in the tool belt or in the sturdy 12" x 14" x 3-1/2" carry all case. All pieces are made of durable plastic. Drill requires 2 "AA" batteries, not included.